632) Happiness is your Decision ! "Decide to be happy with what you are and what you have, not to die from jealousy of what you lack.."
631) Enjoy the Moment ! I don't know why do we keep our happiness pending on something that if it happened we will be happy... but when it actually happens we realize that we spent so much time and effort, and we may not be as happy as we thought, we may be even regret the wasted time..?! I just can't get rid of the taste of bitterness that is overwhelming me. I feel that my country is being rapped and I can't do anything. It is not about Algeria, it is about everything. When I see the reaction of the world, I feel that we are now positioned as a bug that everyone is either happy, or in best case doesn't bother about it. We are hitting bottom big time... There must be a way up. Khalas, it is about time to admit that we are nothing and we have to work on being something again, not impossible, not late, IF & ONLY IF we are serious about it.. or else let's contine whinnying and talking to each other, and "nakhod 3ala 2afana" today from Algeria, and tomorrow from the rest of the world. It is about time to focus on us and our country, bala 3arab, bala israel, ... 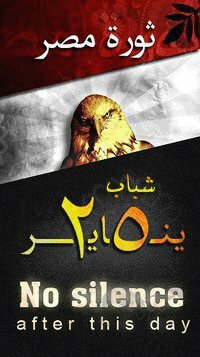 It is about us Masr & Masrians (I am not using Egypt as the name of our country, it is Masr, not even Misr, that is how we Masreen say it, Masr). Angry, Sad, and Disappointed, but didn't lose hope. 629) The Cursed Sale ! ..and that is for its endless problems, and failure of service centers to fix it, in addition to the high prices of its spare parts that are useless anyway! What was the owner thinking?! Why should anyone respond to this ad?! 628) Stop ... Think ... & Act! I am just wondering how can we keep such spirit of loving the country and unifying under its name & flag that has been there for more than a whole month? I havent heard people whinning about life or Ahly/Zamalek problems or, or, or.. Is it because we found a common enemy to guide all our negative feelings at? or because there is one common goal for the 80 million which something that doesnt happen in real life? or because we are just fed up with everything and decided to celebrate together no matter what? The match is on now, and I am one of the few people in the country who are not watching. Regardless of the final score and who will go to the world cup, I really wish that we stop and think how can we make use of what happened, how can we invest in and reflect on our day to day life as a country? Rabena ye2adem eli feeh el kheir, and bless el masryeen in all cases. 2)or you wait till you are sure of everything and then take (or not take) an official step, and risking the lose of the interest itself? 626) Beyoncé ... Beyoncé !! Last weekend there was a huge party for the American superstar Beyoncé in Marsa Allam. Many people who don't even know or have seen here were trying to stop this party for moral reasons, there was even a fatwa that "Beyoncé is 7aram" but that is not the issue of this post (was already discussed in a previous one). The issue is that Beyoncé fees was $1,500,000 for 90 mins; ya3ne about $16,600 per minute; ya3nee about $270 per second. 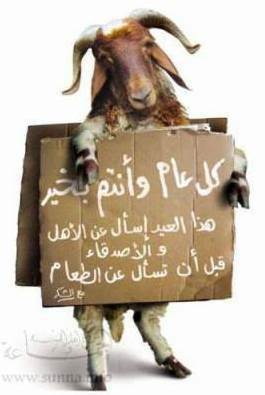 625) 7adeeth El Saba7 wal Masaa !!! 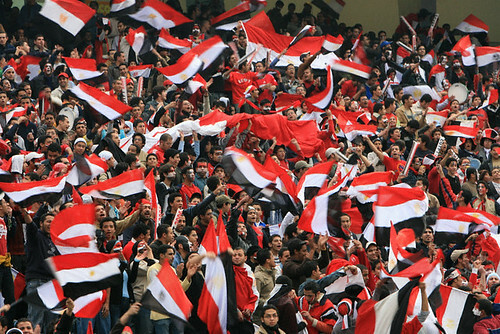 What will happen to Egypt if its national football team win 14/11 match and joins the world cup? It may be a problem in my vision, but I still can't see why it is sooooooooooooooooo important that we win this match, and why all this time, effort, energy (fights),..etc are being wasted? I am definately cheering for Egypt, I even will allow my students to leave 30 mins early to watch the match, but I still can't see why is it as important as October war (as some papers have written)?! Does this mean if Algeria wins, it will be another Naksa that will take another 40 years to fix its consequences. I am wondering that we have reached a stage where I wish that we take our work as seroius as we are dealing with football issues! P.S. I have witnessed Egypt in World Cup 1990, and I wish that we win 3-0 and see the Egyptians happy, this doesn't happen a lot. 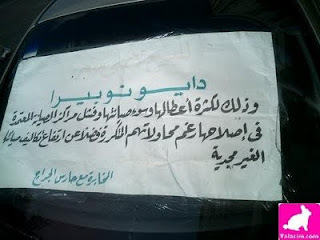 624) Ya 3eni 3al Walad ... wel Balad kaman! If the minister of Transportation has resigned as a reaction for the train crash tragedy, I think the minsiter of social affairs -or whatever they call it these days- should resign 10 times because there are some Egyptians left to lose their lives for 100 pounds. Morever, till when will we accept making fools of ourselves just to get the Arabs' money? whether through renting our females bodies or even throwing ourselves in the Nile -as per the below piece of news- to gain 100 pounds from some few sick-minded Arabs who kept watching and getting it on video. Justice says that they should be charged of plotting for murder as they were the ones who pushed him to jump and he doesnt know how to swim. I bet they will just sign some papers and then go home to upload the video of the poor guy while jumping, and plan for the next poor Egyptian victim. 623) Being Yourself ::: Epsisode 9 - The Mask! This contrbution I got from one of this blog stars; Ibhog. It is discussing the frequency of how often do you manage to express how you feel? "When you feel sad, disappointed, appalled, happy, vulnerable, scared, hopeful, mortified, offended, wronged, low, angry, inappropriate, expecting, embarrassed, love, hate, compassion, admiration .. etc. Do you manage to communicate your feelings? (notice that I listed variably to widen the perspective). In your opinion, how much does failing to express feelings the right way affect our quality of lives as individuals? And last, how should we learn to express them? and .. what obstacles shall we face? It is a very hard question coz it is not easy to show all what you feel even with a blunt person like me. I have conveyed and reflected many feelings, but these days I have been carrying many beautiful, sweet on a side, and negative feelings on the other and wanna explode in both directions and simply can't coz the consequences can be painful and regretful. Is it easy to take off the mask, or has it become part of our faces? 622) Men Aglek Ant ! After watching the opening session of the NPD (el 7ezb el watani) annual conference and listening to Ahmed Ezz's speach. I realized that this year's slogan of the conference "men aglek ant" (just for you), really means: Men Aglek Ant ya Gamal!